Dear manuscript lovers, if you are into medieval apocalypse, we have just the right facsimile for you! The publishing house Piaf has taken on an interesting project choosing to publish the Toulouse Apocalypse which will be out in the next months. The Toulouse Apocalypse is the one of the most interesting French apocalypses of the 13th century, featuring 121 beautifully illuminated miniatures. 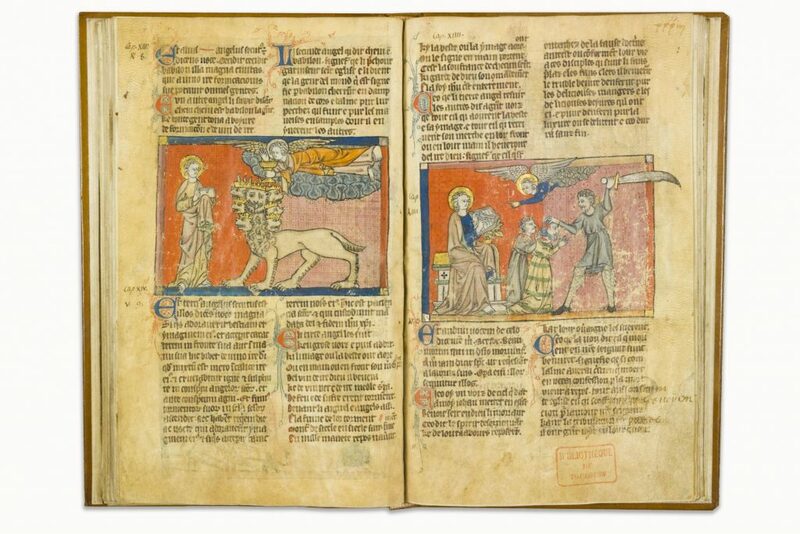 Currently treasured in the Municipal Library of Toulouse, it has been dated between 1220 and 1270. 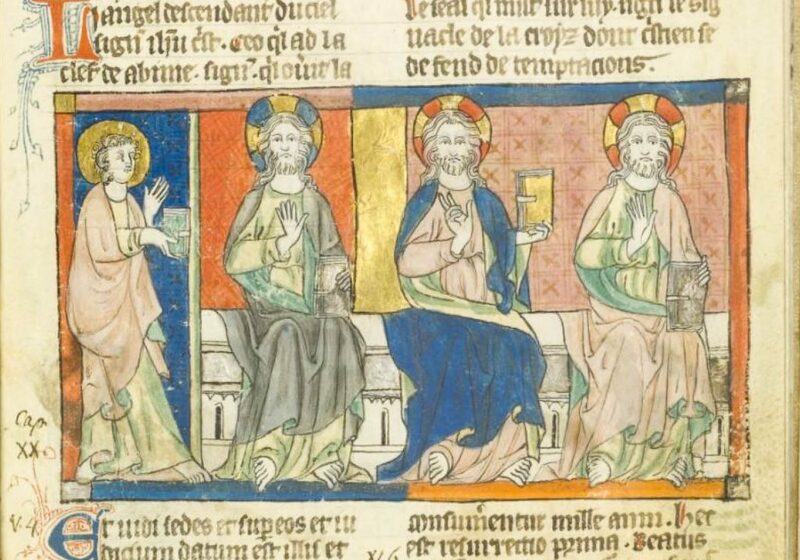 Its miniatures, the majority of which is in perfect condition, exhibits some features which seem to be strictly related to the reign of Louis IX of France – also known as Ludovico or Saint Louis. The Toulouse Apocalypse is written in two columns and features 121 colorful miniatures, embellished with gold and silver. An interesting miniature on f. 53 represents the Heavenly Jerusalem, with the blessing of Christ and the divine Lamb in the center, surrounded by the tetramorph, the twelve gates with the twelve angels and apostles represented standing below the page. For more info check out the Toulouse Apocalypse!